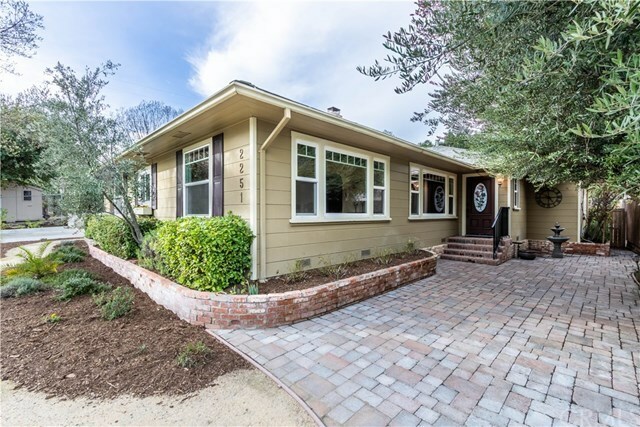 Enjoy the good life in this beautifully updated home located on the desirable westside of Paso Robles. Currently utilized as a vacation rental with over 40 five-star reviews, this could be the investment you have been waiting for. Or maybe youâre looking for a personal residence? This home is move in ready and just waiting for you to enjoy all the charm of its original construction combined with todayâs modern conveniences. The new kitchen and bathrooms are highly upgraded including farmhouse sinks, dual showerheads, and a soaking tub... itâs all here. Located on almost 1/3 of an acre you will appreciate the spacious feel and privacy of the backyard while enjoying a BBQ with family and friends on the warm Paso Robles evenings to come. The home is just a short walk to downtown Paso Robles where you can enjoy restaurants, wine tasting, the city park and donât forget the highly anticipated Paso Market Walk coming in May. This is a must-see homeâ¦ Please call me today to arrange a showing! Directions: Vine Street, West on 22nd Street, North on Olive Street. At the end of the cul-de-sac take drive way to your left.